For awhile, my neighbor friend had a very aggressive Craigslist furniture habit. So when I asked her advice on finding a big wooden dresser for my daughter’s room, I was thrilled when she brought me to her garage to pick one out. Twenty bucks later, I was the happy owner of a huge (but quite plain) dresser. My neighbor was crafty enough to sand her furniture finds down, prime them and repaint, but with a little kid at home and a deployed husband at the time, I didn’t have time or patience for all that. Instead, I took the hardware off (super easy to do–just unscrew from the inside drawers). I got some scrapbook paper from the craft store, and for mine, I wanted to pick some thin, more intricate paper. Gold isn’t really my color, but it’s what they had the most of at the store. And with a big ol’ jar of Mod Podge and an XActo knife, I pasted down the paper to each panel. If you’ve never used Mod Podge, it’s super easy. It looks like glue. 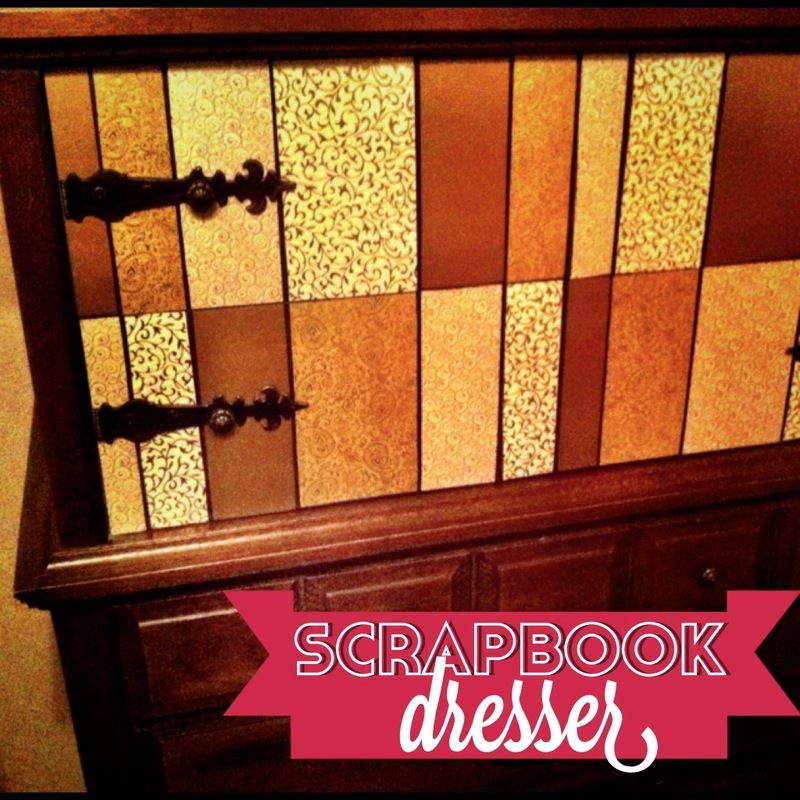 You glop it down with a paintbrush on your object (the dresser), place your paper down, and saturate the paper with Mod Podge on top. It gets bubbly sometimes, but if you smooth as you go, they usually fix themselves. The glue consistency dries clear (or shiny, if you get the gloss version), and your paper is sealed down. Fun & easy! All in all, the goldish colors I chose ended up looking very vintage and awesome.